How much profit do you make? Most people just don’t know their profitability, and that’s the first step towards improving it. I’m lucky enough to speak to estate and letting agents every day. In fact, I estimate that last year, I had around 500 conversations with separate agency owners and directors. That probably equates to 250+ hours of listening time, helping me understand exactly why independent agencies aren’t more profitable. Want to know what I think? 1. Too many agency owners are focused on market share and volume, and not profitable results. 2. Owners and managers spend more time on cost issues than on market share challenges. 3. Agency owners get so focused on the competition, they make it their goal to beat them, resulting in vicious cycles of fee-slashing. 4. Fee setting gets the least attention but has the greatest impact. Say you sell 100 properties a year, at an average fee of £2,000 a time, resulting in total revenue of £200,000. Fixed costs might be £180,000 (including owner’s salary), leaving a net profit of £20,000, or 10%. To gain market share, you decide to slash your fee to a fixed £1500, and in doing so, you increase your instructions by 30%, to 130. Revenue is now £195,000 but now your team is now stretched too thin, resulting in a rise in complaints and withdrawals. Not to mention your stress levels. You decide to reduce your fixed costs, by getting rid of your cleaning company, cancelling your content marketing contract, and making a junior admin redundant. The total annual saving is £15,000, so your net profit rises to £35,000, or 17.5%. But now the negs are having to do messy admin work, the office is starting to look a bit scruffy, and your website is dropping down in the Google ranking because you’re not posting new content to your site. That’s a steep price for a short-term 6% increase in profitability, and unlikely to be sustainable. As with the Market share priority, you focus on winning market share at the expense of that of your competition. Your existing competitors are in a fee war, charging down to half a percent to win the instruction at all costs, and you’ve somehow joined in. Not only that, but a new hybrid, back-bedroom guy has ridden into town and is advertising Sell your house for just £399. You can’t – and won’t – match this, so creep away from the fee battleground, nursing your wounds. You calculate the total cost of the battle is £15,000 in lost fees, taking your profit down to £10,000 for the year, or a measly 5%. After talking to me, (good call) you make the decision to prioritise fees above all other metrics. First you implement an anti-discounting incentive with your team, where they get a bonus for charging full fee, say 1%. You yourself now have a strict no-discount policy, and you’re prepared to walk away from an instruction that won’t pay it. When you look again at your average fee, it’s crept up to £2750, which isn’t bad, but not enough to make a real impact. You decide to implement another tactic I recommend, and add an extra fee option to your existing offering. At 1.5%, your vendors receive an enhanced service from you, including professional photography, home staging consultancy and personal account management from a senior partner (you). The increased costs for this level of service are £300 per instruction, but you’re receiving on average an extra £2,000, making it a high profit service. With the uplift in average commission, you’ve seen a slight fall in instructions to 85 at the higher fee of £2500, equaling £212,500, and 10 vendors have decided to take your higher level service, adding a gross profit of £20,000 to the bottom line. So now you’re making £232,500. When you offer clients appealing and alluring discounts, you will typically see an increase in volume, and most of the time, (though not all) in revenue. That’s what makes it so tempting to offer these discounts. They look like successes! But that success is often only an illusion…. In 2005, General Motors were in trouble. Their market share was dropping, year on year. Something needed to happen. The marketing teams at GM decided to try something radical; they would offer their cars at dealer price, in other words, wholesale. On the surface, the campaign looked like a massive success; GM sold 41.4% more cars than it had done the same month of the previous year, and the following month, sales were still up 19.8%. Ford and Chrysler were quick to follow suit and launched their own copycat offers, and GM sales started to dip, month on month, with growth remaining negative for the remainder of the year. GM’s problem was this: almost all these customers came from one place: the future. Instead of generating additional demand, GM borrowed customers from its future sales and sold those people cars at deep discounts. That year, GM posted a loss of $10 billion. The sad postscript to this story is that General Motors filed for bankruptcy only four years later. With more pressure on fees than ever before, and agents charging tuppence ha’penny to sell houses, maybe it’s time to re-evaluate how we set our fees? Aren’t you sick and tired of chasing rubbish fees from clients who don’t value you? Wouldn’t you rather earn good fees, from appreciative clients in quality houses? Good fees may be easier to earn than you think. Research conducted by Michael Raynor and Mumatz Ahmed led them to analyse more than 25,000 companies listed on US stock exchanges between 1966 and 2010. Only 0.7% of these companies, or 174 of them, returned 10% or more on assets (ROA). Now at risk of boring the pants off you, there’s an important point to this. Or rather, two. They concluded that the companies that demonstrated the greatest success were those that work on a premium price strategy, not a low-price model. “After 40 years in the pricing game I am convinced that only very few companies will achieve long-term success with a low-price strategy.” He goes on to say, “These companies must become very large and extremely cost competitive.” Not the best growth strategy for a service business, in my opinion. Your margins have nothing to do with the value perceived by the customer, the most critical determining factor for setting a price. Whilst over-pricing carries its own risks – and relative potential rewards – under-pricing is far more dangerous, and can infect not only your brand, but also your team morale and your listers’ confidence in your service. The simplest way to guard against both over- and under-pricing is to conduct a robust break-even analysis. 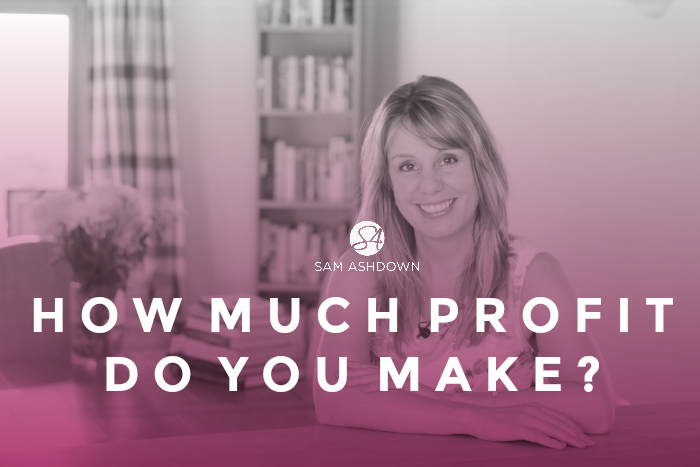 Going back to my original question of ‘how much profit do you make?’, by simply knowing your headline revenue, less costs (including your salary) and the resulting pre-tax profit, you will already be ahead of most of the agency owners I talk to. “You get what you pay for” is a belief held by the majority of people. If it wasn’t, premium brands simply wouldn’t exist. Why pay £3 for a Starbucks when Greggs sell an ‘add-on’ coffee for just 20p? Why would someone pay an extra £1 to buy Tesco Finest oranges over the regular ones? And why, when I’m considering buying a new car, wouldn’t I just go for the very cheapest available? As an independent agency owner, you have the power to change your fees whenever you like. Because fees are so easy to change, your competitors can respond very quickly to cancel out any competitive advantages you may have hoped for. These competitive responses are usually swift and bold, and that’s why you’ll rarely win a fee war. Creating new marketing campaigns and building a sales team are essential parts of your agency’s success, but the payback can be months or even years, and you have to find the money now. Raising your fees can see almost instant impact, with new instructions boosting your pipeline within a matter of weeks. Price is likely to serve as an indicator of quality when buyers are uncertain about a product’s underlying quality. This happens when they are confronted with a service that they rarely buy, like estate agency services. You need to make a conscious decision about price positioning. The primary factor in price setting is the customers’ willingness to pay. You can get my unique Revenue Amplifier Tool for Estate Agents, for free! Just click the button below to download your free tool, instantly.